About the Book: For centuries, poets have argued that unrequited love is love in its strongest form. 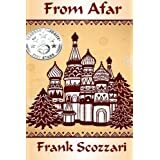 From Afar is a timeless tale of Morgan Stanfield’s search for love in the far northern city of Saint Petersburg, Russia. Leaving the warm climate of Santa Barbara, he embarks on a four-day odyssey where he encounters a Russian beauty, a prostitute, a wise old babushka, an American chauvinist, intellectuals, the Russian mafia, and the ‘face’ of love, and comes to know how love from a distance can be more captivating than love close on hand. 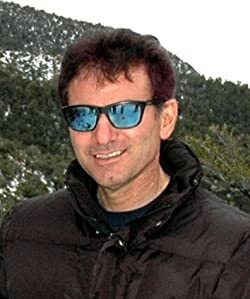 About the Author: Frank Scozzari is an American novelist and screenwriter. A four-time Pushcart Prize nominee, his short stories have been widely anthologized and featured in literary theater. My Review: This is a very well written book, that you read easily and smoothly. The author talk about the problems a young man (Morgan Stanfield) find in his search for love. After some disappointments in relations, he start searching for love in Russian dating sites and he thinks he have found the perfect match. He travels to St. Petersburg to meet his true love and what faces him there is a reality that makes him reconsider the whole love definition. According to Morgan, "...one cannot understand Russia with one's mind. One can only understand it with their soul". Love from a distance can be more intense, as you will be idealizing your love instead of living it directly. Very nice work, I recommend this book to the permanent library of any reader in search for a book that will keep them entertained for hours.